The first two installments to The Seeds of Christianity series, Witness and Disciple, set the expectations bar high. Apostle clears it with room to spare. It was like a long-awaited reunion with dear friends when Rivkah’s and Shemu’el’s names first appeared in this, Mr. Lewis’ most recent historical novel based upon the first-century founding of the Church. Having fled persecution in Jerusalem, the family travels to Antioch, where Shemu’el becomes the fledgling congregation’s senior elder, their episkipos. A supporting cast of memorable characters emerges one by one as the Gospel takes root and grows in the unlikeliest of spiritual and societal soil. Historical figures like Simon Peter, Paul and Barnabas blend effortlessly in with the fictional characters as they transit Antioch on their missions to plant and nurture the Way throughout the known world. A true delight of The Seeds of Christianity Series is not just the great storyline, but the historical setting the author so brilliantly depicts. Mr. Lewis has one foot planted firmly in an ancient history class and the other in a creative writing class. And he’s acing both courses. You feel the heat of the potter’s kiln on your face and the and cool of the wine grapes on your bare feet as everyday life in the ancient Middle East comes alive on each page. We help Paul construct his tentmaker’s loom and Hadassah knead her barley bread, all the while learning a stark lesson in what daily survival demanded of the first Christianoi. 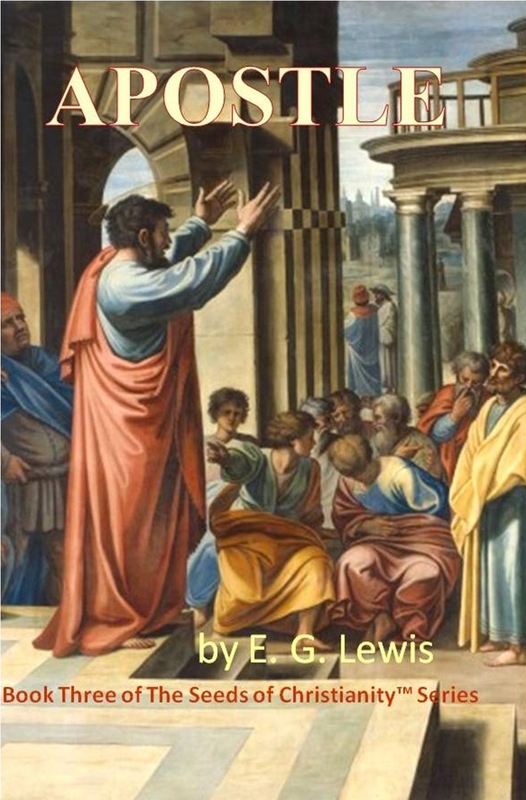 The joy of the lesson, though, lies in the tale and the prose, both of which Mr. Lewis crafts as skillfully as Paul did his tents and Hadassah her loaves. 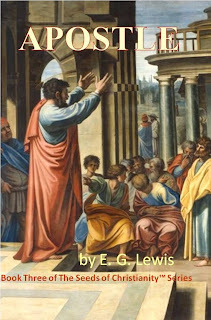 If you like a good story enhanced by a good education, The Seeds of Christianity Series is a sure bet for your money. I have yet to read any of Mr. Lewis's books, but I am certainly intending to. I have heard good things about them, including from this post.